How Does an Activity-Based Workplace Attract Better Staff? Did you know that the interior design of your office can help you attract staff? If your market has high turnover, high competition for talent, or if your company is expanding at a rate of knots, knowing what employees are looking for in a workplace can help immensely. Nowadays, staff aren’t just looking for the highest pay check – more than ever, top talent is choosing to pursue work in offices that they feel encourage creativity, freedom of communication, and that have taken steps to reduce work related stress and anxiety. While data suggests that this is a generational shift, these ideals are working their way slowly into all age groups, and there’s no indication that this trend will cease. Of course, the other reason you want a well-designed office is that it innately affects office-space effectiveness and productivity. We’re here to tell you engaging a good design team can help your office achieve both. Having your workplace meet both of these goals; effectively serving your staff, and your bottom line. Today’s blog is a guide to what an activity-based workplace looks like, and what sorts of concepts it entails. WHAT IS AN ACTIVITY-BASED WORKPLACE? Leading workplaces around the globe are moving away from traditional office set-ups and investing in activity-based workplaces – but how do you define one? Essentially, an activity-based workplace is one that allows an employee to move around the office, based on what they need to do. As an example, let’s imagine a staff member in your office who needs to take a call, or complete a task that demands focus and precision – ideally, they’d be able to move to a space that mitigates distractions. On the other end of the spectrum, one of your employees may need to complete a task that requires teamwork with others, like overseeing a new hire, or learning something about a new product. If all spaces in your office are set up to only accommodate quiet work, this employee will be hard-pressed to find somewhere appropriate to collaborate. Now that you’ve got the idea, let’s move onto some specific examples of work-stations you can consider integrating into your own office design. 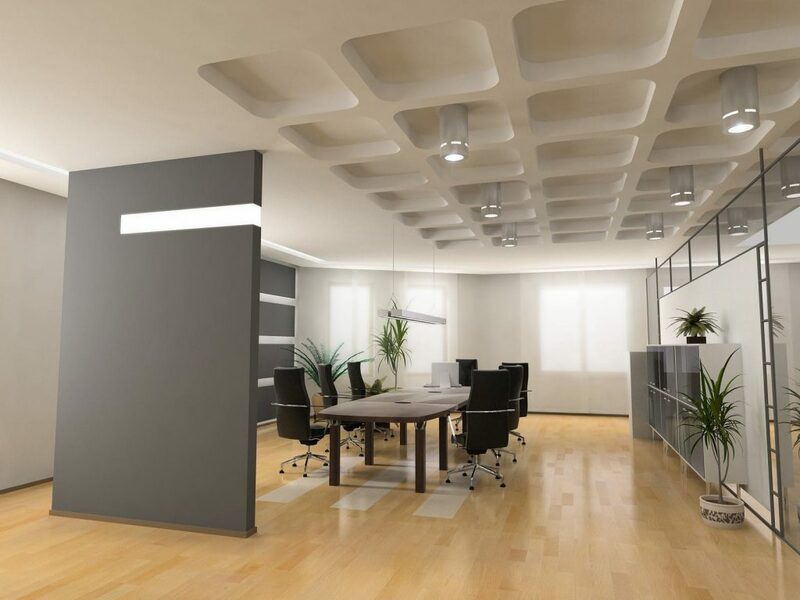 An agile office area is one that can accommodate more than one type of activity – they make a good basis for the core zones of your office. Using modular furniture in agile-office areas allows workers to quickly assemble teams based on the task at hand for easy collaboration. Having the freedom to work with your neighbours and restructure your own work environment by customising furniture is a big plus for employees looking for positions today. The only drawback that requires mitigation is excess noise from other nearby staff, which brings us to our next example. Having spaces for staff to work on projects alone is important, but there are a few different options to consider when investing in them. Typically, they are small and enclosed, like a phone-booth that has been soundproofed so employees can make business calls without distracting the rest of their team. Alternately, quiet zones could include larger rooms, used by multiple employees at the same time, who need to work together in small groups away from their main department. It’s also important to have bigger spaces where people can meet – enclosed rooms or lounges both work for accommodating larger groups. In some companies, meeting rooms can be in high demand, so having a few that you can schedule, rotate through, or otherwise organise with a booking system of your liking is a great idea. Having somewhere separate for spur-of-the-moment meetings is great too, if you have the space to accommodate it. Everyone needs to blow off some steam once in a while. Having areas that are relaxed enough to take a break in, as well as take impromptu meetings is essential. It’s up to you whether or not you want to clearly delineate between work and break areas or blur the lines a little and allow some staff members to work on sofas or beanbags occasionally, where they may be more comfortable. Having an activity-based workplace is just the tip of the iceberg when it comes to attracting talented staff, but it’s important to get all the factors right. To learn more about activity-based workspaces, agile-office fit-outs and more, talk to DB Interiors, one of the most experienced teams in interior design Auckland-wide. With over 50 years under our belt, we can help with your office relocations, office refurbishing, or brand new fit-outs. Contact us now for a free discovery call!